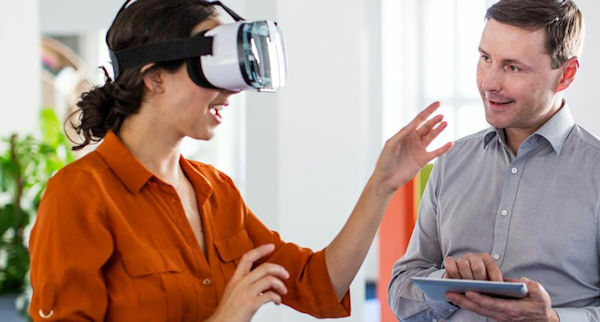 Over the last few years there has been a quite specific interest in using virtual technologies in education, including foreign/second language education. This is because virtual technologies, such as virtual worlds, are particularly relevant to language teaching/learning in view of the fact that, among other things, they present language learners with situations similar to these found in the real world; they can lower the affective filter by engaging students in situations where their fears are bypassed; they offer opportunities to communicate in a target language by means of text/voice about their features, problem solving, language, etc. Thus, language learners can develop metacognitive and metalinguistic skills and they can practice the language by interacting with virtual users or objects, a very important issue for language learners who have no or little contact with native or target language speakers. 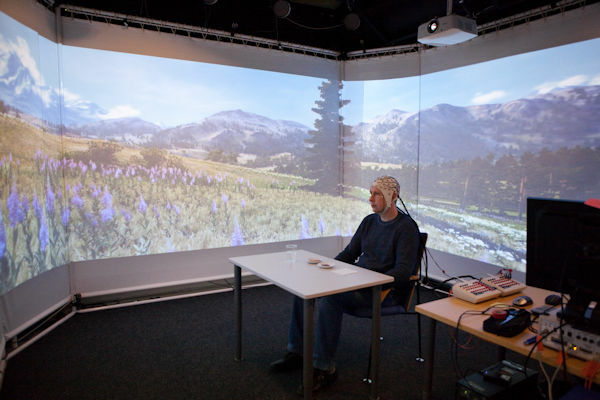 It should be noted, however, that numerous published research projects mostly focused on opinions on the pros and cons of virtual technologies (e.g. virtual worlds) or their affordances for teaching and learning foreign/second languages. Therefore, there is a great need for solid empirical research in this area – a fact that lends a certain air of adventure to this undertaking. This book will explore how virtual technologies have the potential to engage language learners both within and outside the classroom (or a combination of the two) and to encourage language learning and teaching in the target language there and/or by means of them. This book will be written for professionals who want to improve their understanding of virtual technologies in foreign/second language teaching and learning. The field of robotics has rapidly advanced over the last decades and has shown great promises in different fields. 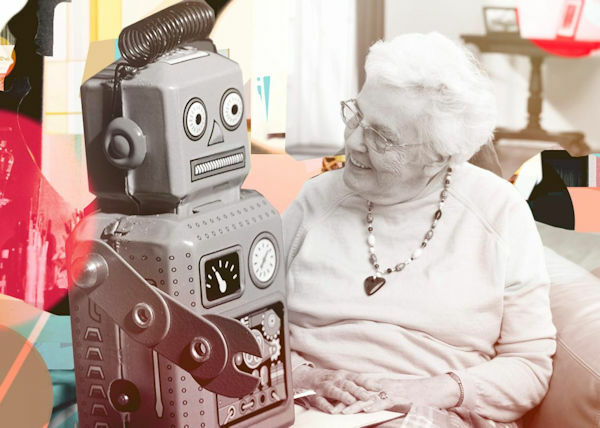 Robots were introduced in industry decades ago, and nowadays, robotic systems support humans as assistants, team-mates, caretakers, and companions, in diverse contexts such as education, health and eldercare, the home, retail, and in search and rescue. Discussions of the emotional, psychological, ethical, and societal consequences of these developments have emerged alongside technical advances. Studies in human-robot interaction have shown that, when robots enter different contexts of our everyday lives, they influence and change those contexts beyond their intended use purpose alone. Social scientists have referred to this process as “mutual shaping” of technology and society. Mutual shaping implies that technological and societal developments do not proceed in parallel, or in a linear progression from technological development to societal application, but rather that technology and society continuously influence and (re)shape each other. Society changes as a direct and indirect result of the implementation of technology, which itself is created based on society’s (or a particular segment of society’s) wants, needs, beliefs, and practices. The mutual shaping of technology and society approach focuses on analyzing how social and cultural factors influence the way technologies are designed, implemented, used, and evaluated, as well as how technologies affect our construction of social values and meanings. The decisions made in the design, adoption, implementation use, and evaluation process of robots affect people’s attitudes towards, uses of, and even their conceptualizations of these (socially) interactive systems. Social norms, values and morals are both implicitly and explicitly intertwined with technologies, reinforcing or altering our beliefs and practices. Once a robot has entered a social context, it may alter the distribution of responsibilities and roles within that context as well as how people act in that context. 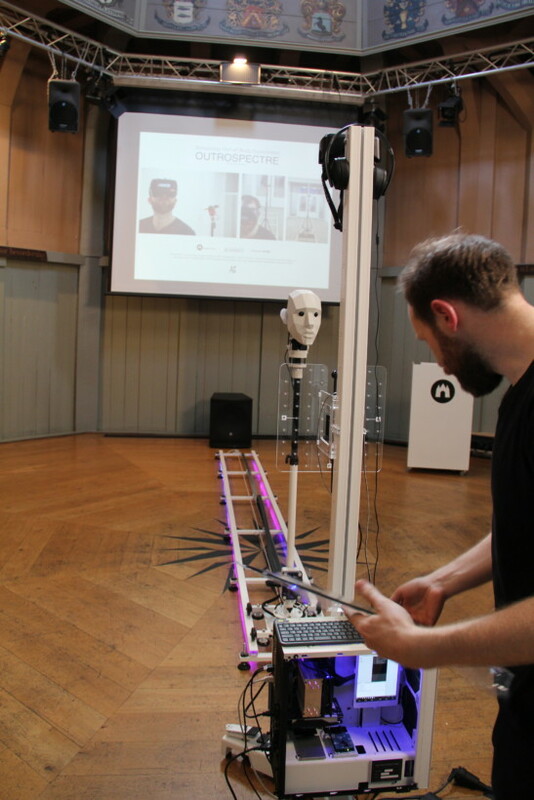 Research needs to explore how use practices of robot systems and the social environment mutually shape each other, and what form this mutual shaping process takes. Such studies are crucial for the future development and implementation of robots for broad societal use and for the design and acceptance of new and existing robot systems. The aim of this special issue is to collect an overview of theoretical and empirical state-of-the-art research contributions on lessons learned about the mutual shaping of robots and society. Therefore, the International Journal of Social Robotics invites researchers from the many disciplines and approaches that intersect with the development and evaluation of robot systems (e.g. human-robot interaction, human-computer interaction, human factors, engineering, computer sciences, (interactive) design, sociology, communication science, anthropology, psychology, etc.) to submit to this Special Issue. An elderly woman nestles a white, fluffy baby seal in her arms. She murmurs happily to it, petting it and delighting as it responds to her touch and voice. This baby seal is a robot, a cuddly bot named PARO. And research suggests PARO has therapeutic value, calming and engaging agitated and anxious patients with memory loss. PARO, which can be seen in action on YouTube, is one of the earliest of the therapy bots. He arrived on the scene back in 2004. Since then, simpler, though still interactive, catbots (and dogbots) have democratized the world of therapy bots by bringing down the price to below $100. Researchers aren’t just building social and companion bots—they’re hard at work building bots that can dispense medication, lift people, assess their vital signs, and connect them to family. A decade from now, PARO and other companion animal robots and telepresence bots like Sam may be seen as the progenitors of the robots that are caring for us all. And caregiving is likely to become urgently needed—the Bureau of Labor Statistics suggests that between 2016 and 2026, we will need nearly 1.2 million more professional caregivers to care for our aging population. A recent Pew Research Center study suggests that while a majority (59 percent) of Americans are unenthusiastic about the thought of being cared for or having a loved one cared for by a robot, roughly 40 percent of Americans are open to the idea and even encouraging about its potential positives. But first, we may have to get over our own fears about robots as caregivers. These fears rest on two prejudices: first, that robots would necessarily be bad at caring for us, and second, that humans are particularly good at it. game design, citizen science and gamification. IGGI is a collaboration between the University of York, the University of London (Goldsmiths and Queen Mary) and the University of Essex. The programme trains PhD researchers who will become the next generation of leaders in research, design, development and entrepreneurship in digital games. Does the thought of dying absolutely terrify you? If so, you might suffer from a condition known as ‘Existential Death Anxiety’, a disorder Dutch experimental designer, Frank Kolkman wants to treat with Outrespectre – a proposed medical device supposedly capable of simulating out-of-body experiences. In the past years, with the advent of technology such as streaming media services, combined with market penetration of smartphones, tablets, and highly interactive platforms, such as immersive virtual environments (popularly known as “virtual reality”) and augmented reality, there has been a dramatic uptick in the number of hours per day we spend with digital media. A good portion of this time is solely devoted to entertainment, or as Zillmann and Bryant put it, “any activity to delight and, to a smaller degree, enlighten through the exhibition of the fortunes or misfortunes of others, but also through the display of special skills by the other and/or self” (1994, p. 438). Despite this centrality of entertainment to the digital media experience, academic research has lagged in its ability to analyze and understand what people are doing, thinking, and feeling with and about digital entertainment and the antecedents and outcomes of digital entertainment. The aim of this special issue, therefore, is to showcase state-of-the art research on digital media entertainment (broadly inclusive of all entertainment products, content, and services used for pleasure, leisure, amusement, recreation, relaxation, fun, enjoyment, interest, or diversion). Present findings in brief empirical form on motivations, uses, and effects (intended and unintended) of digital entertainment. Extend our understanding of digital entertainment by revealing the underlying mechanisms (e.g., moderators or mediators), or mutual dynamics such as reciprocal effects, longitudinal perspective, and direction of effects. Test the feasibility and efficacy of practical applications of novel entertainment platforms (e.g., virtual or augmented reality games, streaming services) among diverse audiences.